Time – It takes time to maintain a home. Why spend your nights and weekends working after working all day? Have a handyman from Picture Perfect Handyman do the work for you and enjoy your free time. Picture Perfect Handyman also responds quickly to calls, so you can get your life back to normal. Money - Master electricians and plumbers spend years training for their profession and its not to do minor electrical or plumbing repair. Likewise general contractors want big jobs, not doing roof or siding repair. 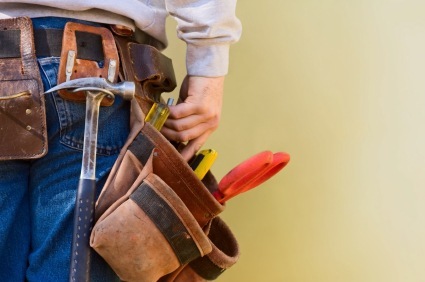 Save money by hiring a handyman from Picture Perfect Handyman to repair and maintain your home. Picture Perfect Handyman wants the small jobs. Let the contractors do the big jobs. Live Better – Aside from maintenance and repair, Picture Perfect Handyman can also build, construct, and remodel. Need a shed? Picture Perfect Handyman can build it. Remodeling a room? Picture Perfect Handyman will do the labor. Save time, money and live better, call Picture Perfect Handyman today at (661) 457-5991 and learn more about our handyman service!